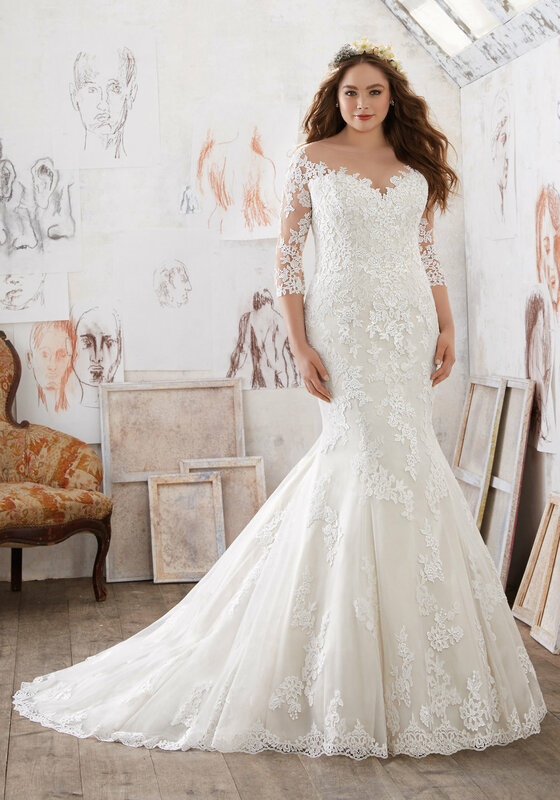 This classic fit & flare wedding gown features exquisite Alencon and Venice lace appliques on net. The off-the-shoulder illusion neckline and three-quarter sleeves add a touch of romance. Covered button back detail and a delicate scalloped hemline complete the look. Available in three lengths: 55", 58", 61".